Simply fill out the form on this page, and leave us the name and phone number of anyone you think may be interested. Then, we will contact them to schedule an appointment. If we run an appointment, we'll reward you with $50*. *Not valid for previous appointments. 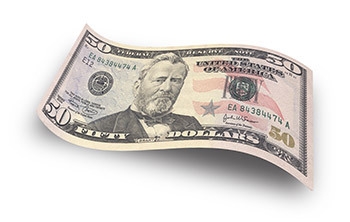 We will reward you with $50 once we've conducted an inspection for your referral. It's our way of saying thank you! Which Baker's Waterproofing employee informed you of our referral program? *We need your mailing address, so we know exactly where to send your check.